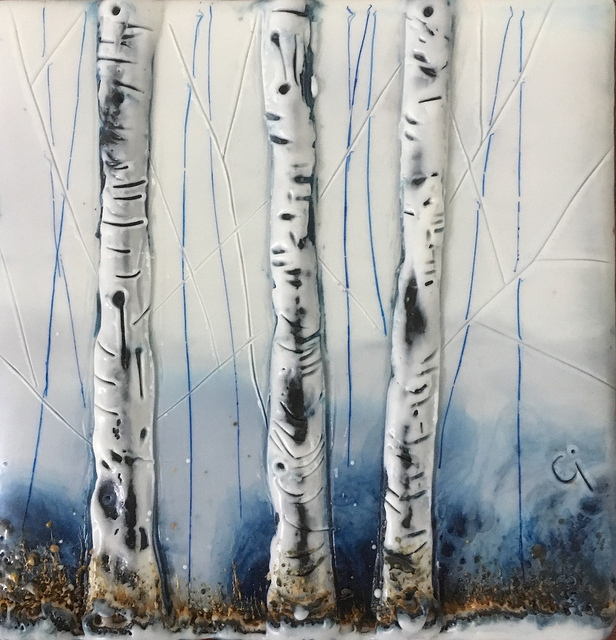 New Work at Art on 9th in Calgary!! I had a last minute opportunity to show again in Calgary. I was very pleased with sales last time, so fingers crossed again! I am very pleased to announce my work will be carried in the Alberta Branded store in the Federal Building downtown Edmonton. Find a link below. It s well worth a trip to this gorgeous gallery. 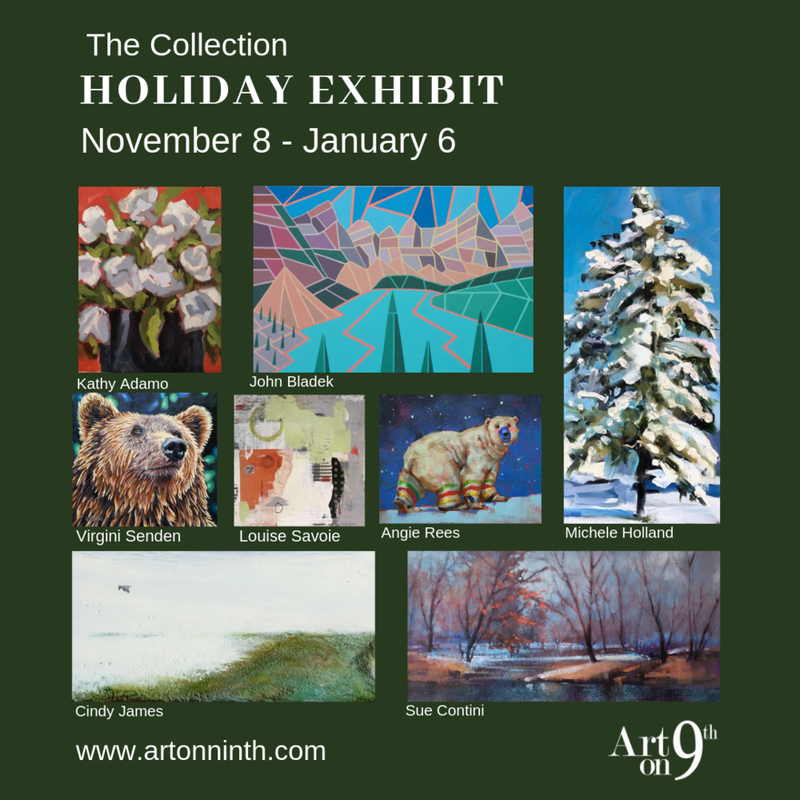 I am very excited to show my paintings alongside so many other fine local and Canadian artists! A few pics of our artwork at the Naess Gallery. Thank you to the Paint Spot staff or hosting our show "From Earth to Sky". A few weeks ago I was at the artist reception for our group show at the Naess Gallery. It was a sunny, pleasant spring Saturday afternoon, and I enjoyed hanging out with my fellow artists Sabine Hahnel and Brie Craner and getting to know them a little better. While there, a lady indicated she was interested in one of my paintings and asked me to tell her about it. 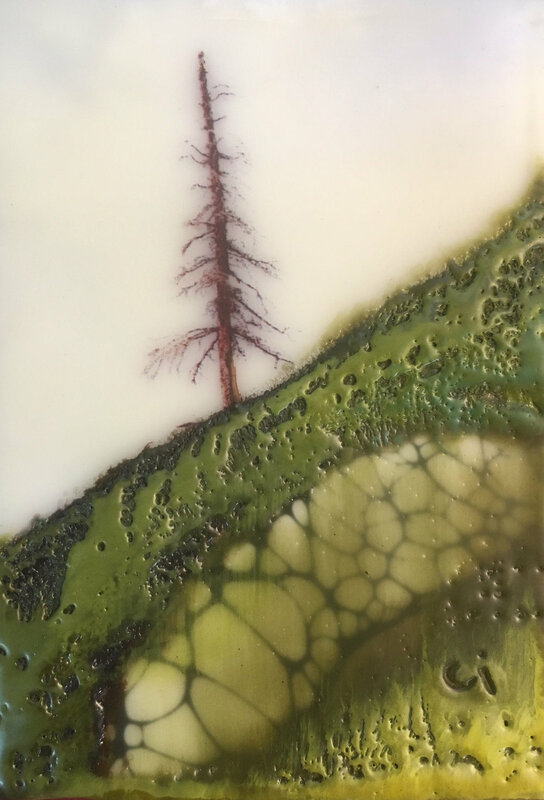 The painting is called "Swamp Music," and I started to explain the process of encaustic, and how that particular painting evolved, and as we talked I found that I had more and more to say about it. This particular painting had really been a big part of my life over the past year, and I hadn't quite realized it myself until I started talking about it. I had learned quite a bit while painting "Swamp Music," and it had also won first place at the Allied Arts' Open Art Competition in the Master's Category, so I was particularly proud of this piece of work. My enthusiasm and love for this painting apparently shone through, and this lovely lady ended up purchasing it. I even posed for a photo next to it (which I hope turned out as I do not photograph overly well lol). I was a little sad to see it go, but I hope that my stories went with it. I feel that may be the case, and I am thankful to have had the opportunity to share my art with her on a personal level. April has been a very busy painting month, as I have two shows going on at the same time in May. Please see details below. Please feel free to contact me for reception dates.